Is Your Inventory Management Strategy for Your Retail Business Out of Control? How do you know if the inventory management strategy you have in place for your retail business is in control? How can you tell if it’s working effectively? If you’re struggling to balance the ebb and flow of items you stock, it’s time to reassess how your inventory system is affecting your bottom line. You’ll know you’re in trouble if you failed to properly analyze inventory usage to predict big sellers. Or, if you have an overstock issue with too many items collecting dust, taking up valuable storage space. You’ll know when you realize that certain items are not generating the revenue you expected, or your customer base is dwindling because you routinely fail to stock up on the items they expect to find in your store. As any good inventory management service knows, data is key to effectively controlling inventory. If you’ve got the data available to forecast actual usage of an item, you can more accurately predict future usage of that item. And, you can more accurately predict how much you can expect to make in revenue, or how much storage space you’ll need in order to stock up on popular items. You’ll even know when to reorder items to avoid the out-of-stock issues that could hurt the reputation of your business. 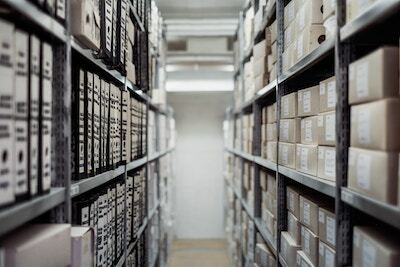 So, if you’re feeling like you’re not managing inventory for your store as well as you should be, there is an easy way to fix what can be an overwhelming, as well as, time- consuming problem. Contact an outside team of inventory management professionals to come in and assess what’s going on. Such a service can do the work to improve your inventory management strategy and help get your retail business back in control.